Running a hair salon or spa can not only be a way to pursue your passion, but it can also be a lucrative endeavor. But we don’t need to tell you that—that’s likely why you’re on the quest for hair salon financing to build out or expand your business. We also don’t need to tell you that it can take a lot of money to run a hair salon, especially up front with supplies and construction. And you need to keep replenishing product, of course—whether that’s dyes and foils, shampoos and conditioners, straighteners and dryers, not to mention a retail section if you have one. We’ll go through the ins and outs of finding business loans for hair salons so you can get the capital you need and match your company with the right source of capital. Because there’s a lot of overhead for hair salons and other spa-service businesses, you’ll want to make sure you have access to additional capital, even if you have savings or investment for your company. There are a few questions you’ll want to ask yourself to help you understand the reasons you’re looking for money as well as other resources you may have. Before you start diving into applying for a hair salon loan, you’ll need to know a lot about the financial state of your business. That means a deep dive into things including your fixed costs, your projections, your cash flow and operating margin, and more. Do you have a peak season? Do more people come into your salon during the holidays, or in summer? Or are your earnings relatively consistent? Do you generally have cash flow issues? Are you often able to cover your costs with cash to spare, or are you cutting it close (or not covering at all)? How is your credit? As you’ll expect, credit is the foundation of a loan for hair salons—or any kind of loan. Get a sense of your credit score now. How much revenue do you do yearly? Are you a startup without a track record, or do you have consistent or even growing sales? How long have you been in business? Are you looking for capital to get your hair salon off the ground, or are you a stalwart in your community? This list isn’t exhaustive, of course, but they questions are significant for helping you figure out the type of financing you’ll be the best candidate for—and that’ll help you most. Just like you’ll need to consider aspects of your own business, you’ll need to also understand your goals with getting a business loan for a salon. We’d all love to have access to capital whenever we need it, but, realistically, it’s not that simple; lenders need to understand your intention for a loan, and whether it’ll help you grow your business (or just keep you above water). How quickly do you need access to capital? Can you wait to get a better rate or terms, or are you in a situation that you need to have cash in hand ASAP? What are you using the money for? Are you hoping to get your hair salon off the ground, repair damages, or open a new location? Something else? How much are you asking for? Is it the number you want or need? What structure loan are you looking for? Would you prefer to access your cash in one lump sum, or do you like the idea of withdrawing it periodically? How much time do you need to pay back your loan? Are you going to be in a position to hopefully pay back money within the year, or are you hoping for a much longer term? We’re about to sound like a broken record, but it’s true—these questions are just the start. The more detailed you can get with what you’re hoping to do with the capital and the kind of access you want for your hair salon financing, the more favorable you’ll look to lenders. In fact, if you haven’t drawn up a business plan, now would be an ideal time to do so; it’ll help you answer all 10 of these questions and many, many more. If you feel prepared with your answers, then let’s get down to the actual options for hair salon financing. If you have strong credit, and you’re not in a huge rush for capital (in other words, you can take your time), then you should look into an SBA loan for your hair salon. SBA loans are often considered the gold standard of business loans due to their favorable terms: low rates, high amounts, and long payback periods. Of course, since everyone wants these loans, they’re very competitive, which is why you need a high credit score to be considered a candidate. What’s special about these loans—and what enables lenders to give you preferable terms—is that they’re backed up to 85% by the U.S. Small Business Administration. They don’t issue the actual loans, but in the case a business defaults on a loan, the banks that do the lending will have a bit of insurance through the SBA. SBA loans come in a few different flavors, so to speak, but the most popular program is the SBA 7(a) loan. It’s an amazing working capital loan, which means that you’re able to spend the money as you wish on business expenses. Terms on these loans are multiple years—sometimes even a decade. Let’s get even more specific about SBA loans for a second and speak about the microloan program. 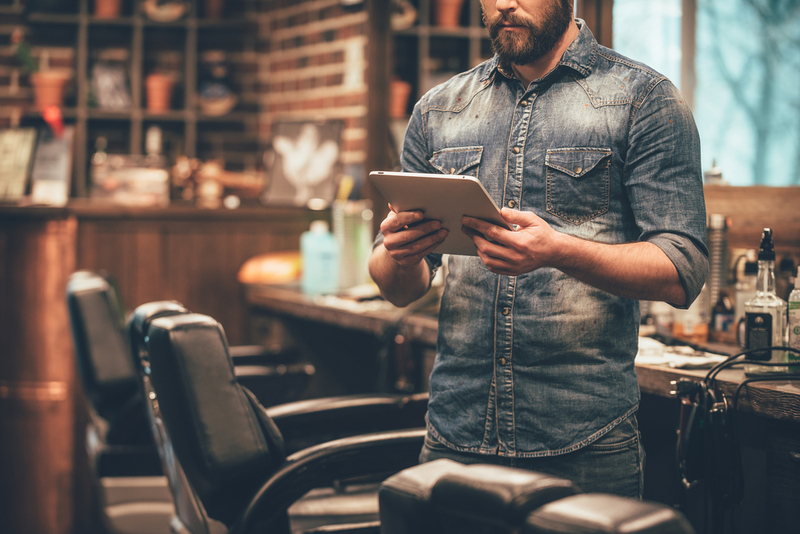 Those who are looking to start a business such as a hair salon won’t have the credit history or time-in-business that SBA lenders need to guarantee your business is going to repay them. It can be extremely difficult to secure a loan as a startup, but you might be able to get an SBA microloan. Microloans, which are actually paid for by the SBA itself and issued through nonprofit lenders, are loans up to $50,000. Strong candidates for microloans have very good credit and an equally good business plan (another reason why having that business plan is such a good idea). These loans are issued with terms of repayment up to six years. You might also be happy to learn that many SBA microloans are awarded to women, people of color, minorities, and veterans. 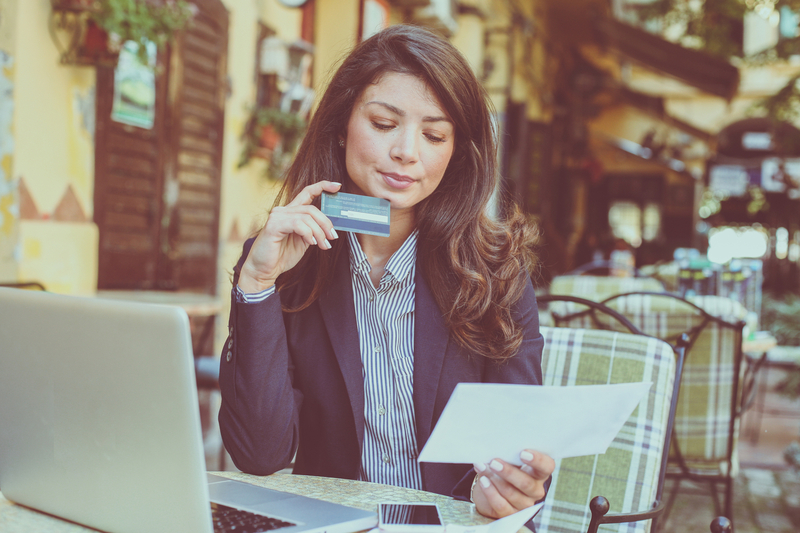 If you don’t qualify for an SBA microloan, or don’t have the time to wait, you might be surprised to find a particular type of business credit card very useful. Many don’t think about credit cards as a savvy source of capital for businesses, but they are—especially for startups, which often have difficulty securing financing due to lack of history. Particularly, a 0% introductory APR business credit card should be a strong consideration. These cards offer a fixed period (often longer than a year) during which you can spend on the card without interest. That way, you can finance purchases and create a plan to pay them back. Then, you can create a plan to pay off your balance before the introductory period ends and the standard APR sets in. Along with giving yourself time to pay off your balances, you’re also building credit at the same time—which is vital to access traditional loans down the line. Some of these credit cards also offer strong balance transfer offers, so if you have debt on other cards, you can consolidate it under the 0% APR period. If you have cash flow issues, you might be interested in a business line of credit. To best understand how business lines of credit work, you’ll want to think of a credit card cash advance cross pollinated with a traditional term loan. You apply for the line of credit like a traditional loan through a lender that has certain requirements, and once you’re given a maximum line of credit, you can withdraw from it whenever you’d like. This loan isn’t just for emergencies and cash flow, though. Having a business line of credit can also help your company seize opportunity, whether that’s getting retail at a deep discount from a rival salon that’s closing or offering a signing bonus to a talented stylist who’s recently gone on the market for employment. Chairs, tools, and sinks, oh my! There is so much you need in terms of equipment to simply open the doors of your hair salon or spa. A huge capital outlay is required to get this gear in place, not to mention replace it if anything goes down. If a hair salon loan for these kinds of assets is your quest, you’ll likely find equipment financing extremely helpful. With this type of small business loan, you’ll get a quote for the equipment you’d like to buy (things as small as scissors count), and a lender will front you a significant portion of the cost. Unlike other types of business loans that require different types of guarantees, equipment financing is what’s called a “self-secured loan,” which means that the asset you’re financing serves as collateral for the loan itself. This can be especially helpful for those who don’t have perfect credit, or who are looking to reduce their guarantee. One more important thing to note as you search for your hair salon financing? There is often entrepreneurship money available in the form of grants. 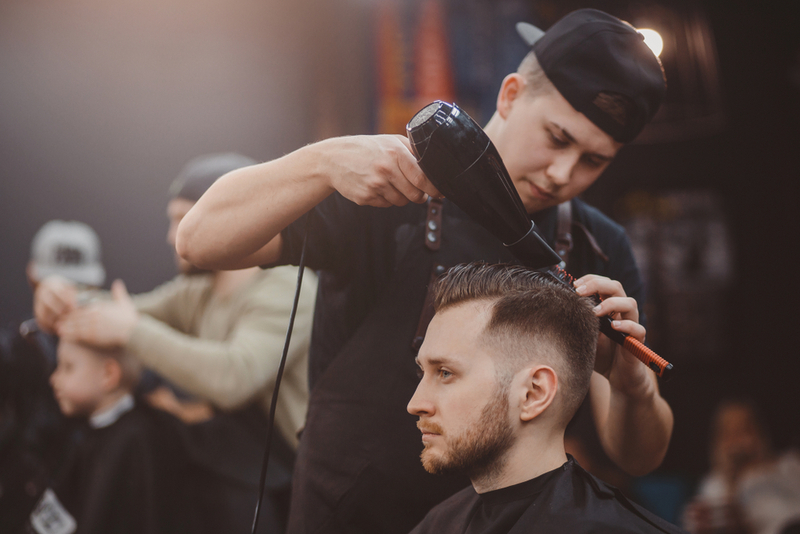 These small business grants likely won’t be for hair salons particularly, but if you’re awarded a grant, you can often use the capital as you wish. Many of these grants are also particularly available as small business grants for women or minority business owners. Applying for grants can be a lot of work, but very worth it. Whether you’re applying for traditional financing or a small business grant, searching for a hair salon loan can take time. But it’s worth the investment, because once you find the right match for your hair salon, you’ll be in a position to grow and thrive—no close shave here.